You thought I forgot didn’t you? I didn’t. 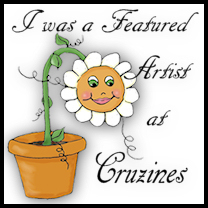 I couldn’t forget that I had promised you an interview with a truly wonderful artist. We’re a little late, but Athina Hart and I are here. 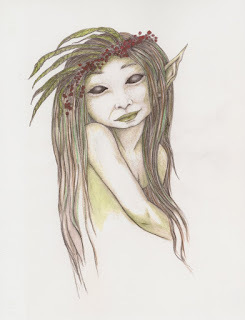 I love to sketch with pencils, colored pencil and watercolors for my drawings and paintings. My needle felting is done by using a special needle and wool roving. When I create my costume wings I sculpt the wires by hand and use mostly nylon, then I tend to glitter, glitter, glitter! 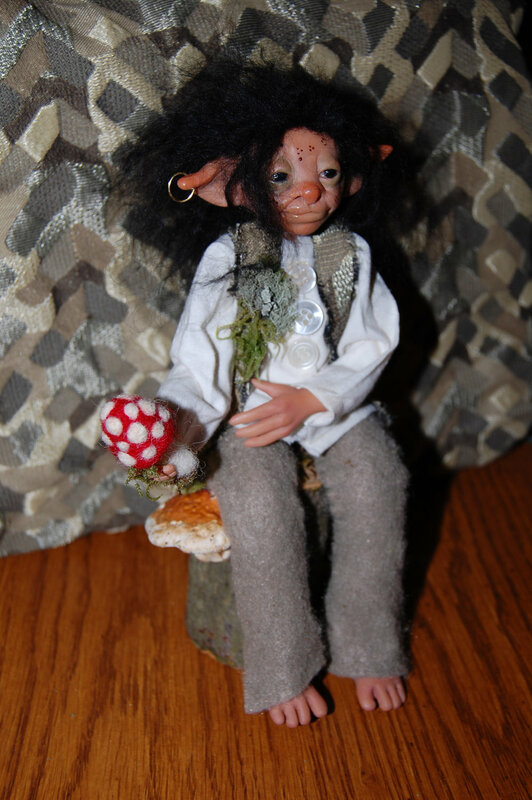 I also use real moss sometimes, I love to incorporate natural items into my wings. You obviously love fantasy characters, as is seen in your art. 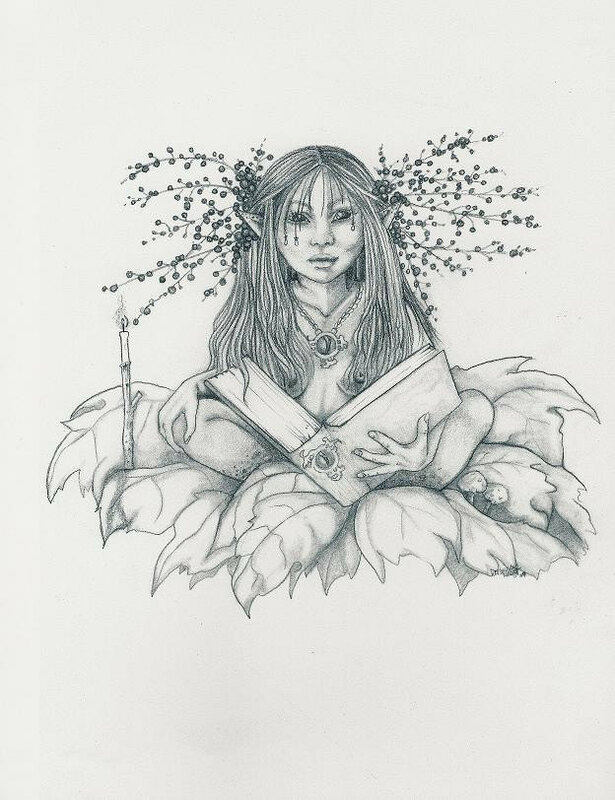 When did your love of fairies and other fantasy creatures begin? As far back as I can remember, I always loved to draw and be crafty. Though my fantasy affair started in my early teens with comic books and cartoons. Then one day I went over to a friends house when I was around 14 and she introduced me to a book called Faeries by Brian Froud and Alan Lee. 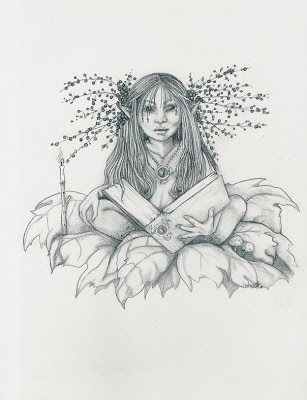 After that day I was so hooked and inspired I went to the library and a local new and used book store to find my very own faery books. Your needle felt mushrooms are adorable! 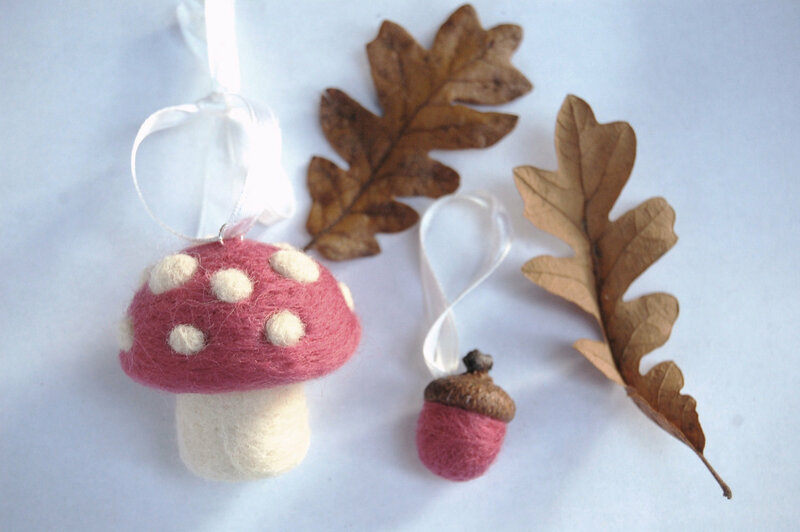 I don’t know much about needle felting, could you tell us a little bit about how it is done. Need felting is very addicting. It’s also a great outlet for when your frustrated, then you can use it like a voodoo doll! Haha just kidding. I use a special needle that most people describe as a ‘barbed’ needle. 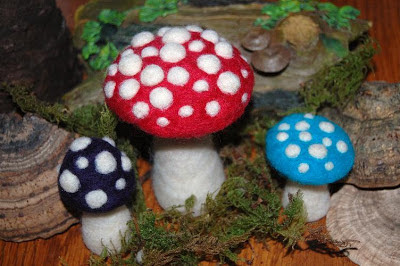 It allows the wool fibers to be pulled down into itself and be sculpted into a 2-d or 3-d object. I sometimes wet felt when I create my acorns by using warm water and regular household dish soap, I submerge them in the soapy water and round them gently into balls, kind of like when we were kids and we played with playdough, the circular motion is used to cause friction and it felts itself tighter and tighter. Oh my goodness, you make faery wings! Where do you get the ideas for your beautiful wings? 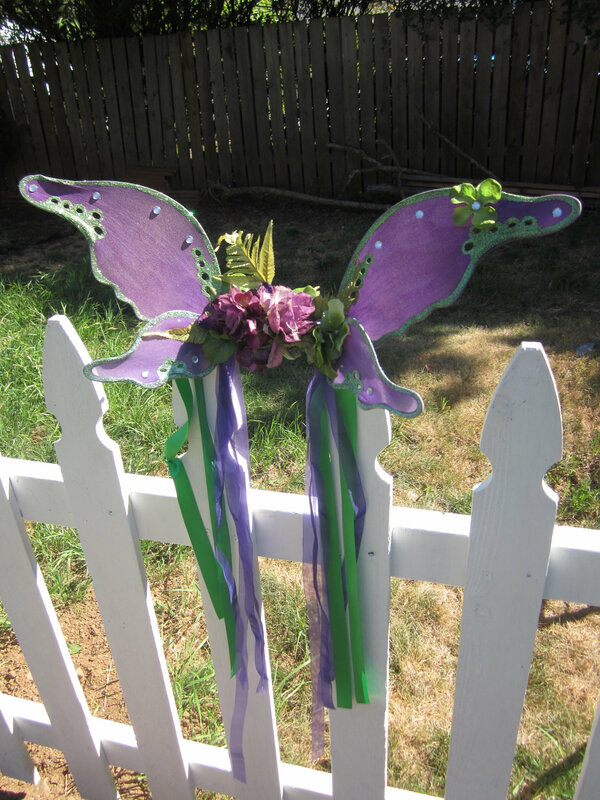 I started making faerie wings in 2004 because I was inspired by all the beautiful costumes I saw at my first Faerieworlds festival. I wanted to make some for my kids, after that everyone loved them and told me I should sell them. I’m also inspired by everything that sparkles! I have an addiction to glitter! Oh and of course nature. I started using moss and lichen as well as other natural items on my wings. Is it ever difficult to part with one of your original paintings? I have parted with a few original painting and drawings and yes it is sometimes difficult to part with my original art work. As the artist it becomes a part of me, and visa versa. Though I realize it is going to a place where someone loves it too. Which artists have influenced and inspired you? 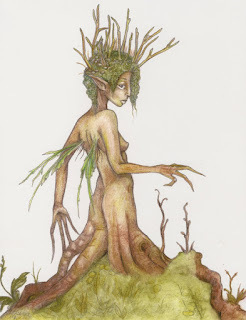 My first artistic influence in the realm of Faery was and still is Brian Froud, Allan Lee, and Michael Parks. Their books guided me through some of the most fantastical realms. When I’m not painting or felting, I love to take my kids on walks and we play a game of mushroom hunting and take photos of them to post to Facebook. Sometimes I keep them for art references too! I enjoy gardening and hiking, watching science fiction and fantasy movies and television shows, like Firefly and Lord of the Rings to list a few. I knit and crochet, too. If my hands are not constantly being crafty I sometimes feel lost, lol. 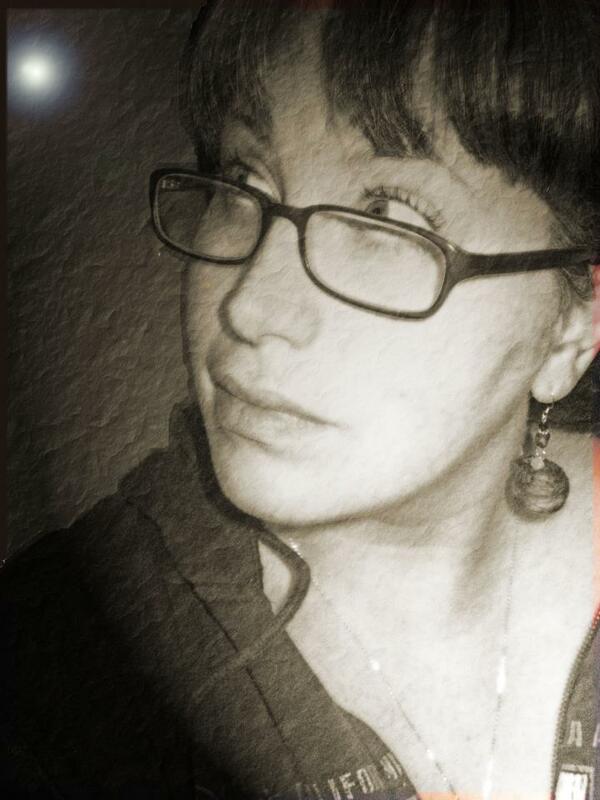 It’s who I am. I often start many projects and find there isn’t enough time to finish them. 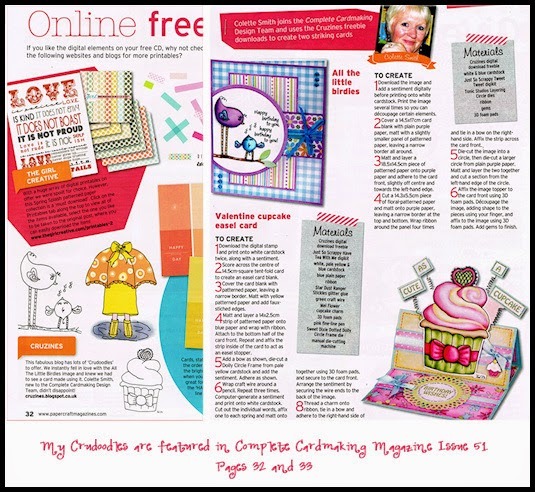 Thank you Athina, for taking the time to do this interview. I’ve enjoyed seeing your art and your crafting, and getting to know you. Please feel free to grab the badge below for your website or blog. It’s also available on the side bar with the code already done for you. Posted in artist feature, Friday Art Feature and tagged art, artist, Athina Hart, fantasy art.